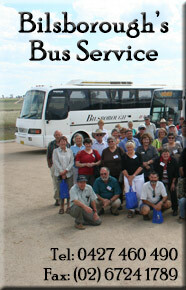 The Bingara Community is a community in the old fashioned sense of the word. Like towns of old, people look out for each other, we speak to visitors in the street and we retain a strong sense of community pride. You feel safe in Bingara. Whilst people are the town’s greatest asset, other assets are plentiful. The two thousand locals and visitors are well serviced. Bingara has excellent educational, medical and aged care facilities, and state of the art fitness and sporting venues. Bingara MPS is a relatively new hospital and ambulance complex, and next door is Touriandi Lodge, the hostel for our frail and aged citizens. Nearby is the Bingara Riverside Caravan Park, and the swimming pool complex surrounded by lovely parks. Bingara treasures its Past, lives for the present and has planned for its Future. It owns its VISION, it knows where it’s going and most importantly, it knows how to get there. Find out more about our community and what it has to offer in the Imagine Bingara Brochure which was an initiative of Bingara and District Vision 2020. Index of Pages available for download. Imagine… a Place at the Edge. Our Fascinating Past. Our Exciting Future. Special Places. Our Productive Landscape.